It’s common knowledge that your Kia needs routine maintenance like oil changes and brake repair, but who wants to spend more than necessary? Here at Generation Kia, we offer a rotating selection of auto repair coupons so you don’t have to dread getting your car serviced. 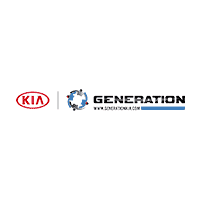 And whether your vehicle needs tire alignments, brake service, new Kia accessories installed, or major repairs, you can place your confidence in the experienced technicians at the Generation Kia service department. After you’ve taken the time to browse our Kia auto service specials online, schedule service today and make your way from Holbrook to Generation Kia! Coupon to be presented at write-up. Coupon to be presented at write-up. Up to 5 qts of conventional motor oil. Kia models only. Any other makes & models slightly higher. Max discount $50, cannot be combined with any other offer, special, or discount. See dealer for details. Tax & disposal fee extra. Keep your windshield clean and your family safe. Coupon to be presented at write-up. Kia models only. Any other makes & models slightly higher. May not be combined with any other offer, special, or discount. Synthetic oil additional, only for cars & light trucks. See dealer for details. Tax & disposal fee extra. Coupon to be presented at time of write-up.